Johnny Scott doesn’t show any signs of slowing down. A steady diet of top-five finishes propelled Scott to the top of the USMTS Hunt for the Casey’s Cup standings prior to the summer break, but six victories in his last thirteen starts—including a wire-to-wire win in Friday’s feature at the I-94 Speedway—has put the 28-year-old New Mexico native in prime position to collect his first USMTS national title. In Friday night’s 40-lap nightcap at the Fergus Falls, Minn., speedplant, Scott got the jump on polesitter Dan Ebert to start the race and then survived four cautions and pressure from Ebert to score a $3,425 payday. Brady Gerdes made the most of his Real Racing Wheels “B” Main win by charging from 14th on the grid to a third-place finish beneath USMTS starter Ryne Staley’s double checkered flags. 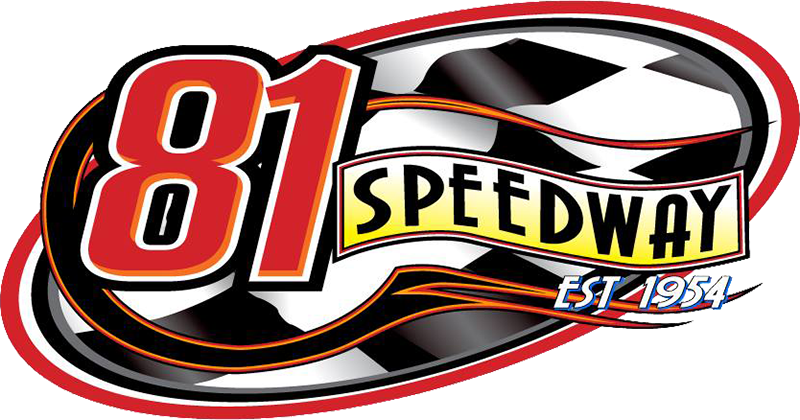 The win was Johnny Scott’s first in five tries at the I-94 Speedway, but his series-best ninth overall triumph this season and 39th of his career. Two of his wins during the 2018 campaign came in the Summit USMTS Southern Series season opener back in February where he is also the points leader with just the inaugural Summit Southern Nationals in November to decide that title. With a record $50,000 to win the USMTS national championship and $10,000 up for grabs to the Summit USMTS Southern Series champ, Johnny Scott is in the driver’s seat to sit at the head table during the USMTS awards banquet in January. SATURDAY: By the time you read this, teams are already loaded up and burning the midnight diesel as the USMTS heads to the the Wagamon family’s Ogilvie Raceway in Ogilvie, Minn., for the 7th Annual Chubbs Performance Modified Madness presented by U.S. Army on Saturday night. Fans can pick up $2-off discount coupons on race day at Casey’s General Stores locations in Cambridge, Foley, Milaca, North Branch, Ogilvie, Pine City, Princeton and Zimmerman. To find the location nearest you, go to www.caseys.com. Zack Vanderbeek and his Oreo-sponsored Modified will be making an appearance at the Casey’s located at 400 W. Hwy. 23 in Ogilvie from 11:30 a.m. to 1 p.m. on Saturday. SUNDAY: The Mason City Motor Speedway in Mason City, Iowa, hosts the 7th Annual Diamond Jo Casino “All-In 77” at the historic North Iowa Fairgrounds clay oval now in its third year under USMTS legend Al Hejna. Sunday’s blockbuster will feature Holley USRA Stock Cars, Out-Pace USRA B-Mods, Cook Racing Supplies USRA Hobby Stocks and Rookies Rockin’ USRA Tuners running for increased prize money as well as track, regional and national points in the Summit USRA Weekly Racing Series. 8. (4) 01 Brandon Aggen, Rushmore, Minn., Skyrocket/Sput’s, $75. 9. (7) 88 Randy Klein (R), Lisbon, N.D., MBCustoms/Tim’s, $90. 10. (5) 90 Steve Wetzstein, West Concord, Minn., MBCustoms/Sput’s, $75. 8. (5) 36 Danny Bayer, Elrosa, Minn., SSR/Scott’s, $75. 3. (14) 2x Brady Gerdes, Villard, Minn., SSR/Sput’s, 40, $1100. 8. (6) 49jr Jake Timm, Minnesota City, Minn., MBCustoms/Sput’s, 40, $450. 12. (12) 33z Zack VanderBeek, New Sharon, Iowa, VanderBuilt/Sput’s, 40, $705. 16. (17) 07 Cory Crapser, Chippewa Falls, Wis., MBCustoms/Troy’s, 40, $275. 24. (8) 1m Curt Myers, Cameron, Wis., Hughes/Sput’s, 6, $275. USMTS Hunt for the Casey’s Cup Points: J. Scott 2403, S. Scott 2232, Sanders 2232, VanderBeek 2163, O'Neil 2147, Schott 2111, Ramirez 2082, Phillips 2071, Kates 1505, Duvall 1480. USMTS Engine Builder of the Year Points: Durham 235, Mullins 194, Sput’s 189, Hatfield 180, Cornett 180. Casey’s General Stores – Wetzstein. Forty9 Designs – Saurer, Thomas. GRT Race Cars – Mensen. Jerovetz Motorsports Racing Parts – Kates. KSE Racing Products – Gustin. Mesilla Valley Transportation – Ramirez. Out-Pace Racing Products – Crapser. Swift Springs – J. Scott, Ebert. Wehrs Machine & Racing Products – Gerdes.